Mrs. Goldman grew up in Pinckneyville and is a member of St. Bruno Church. She graduated from Pinckneyville High School and went on to continue her studies at McKendree University. While at McKendree, she graduated with a bachelor’s degree in Elementary Education with middle school endorsements in language arts and social sciences. 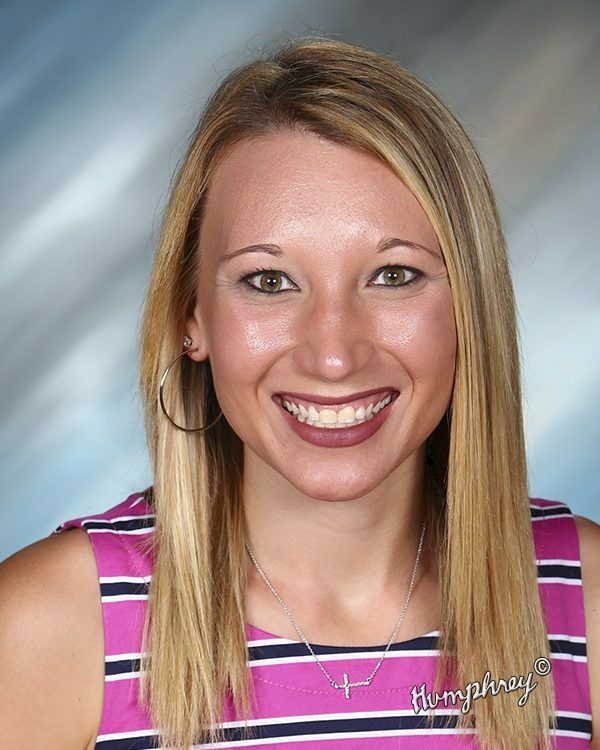 After finishing her bachelor’s degree Mrs. Goldman went on to teach junior high social studies for two years before joining the St. Bruno family in 2013. Once joining St. Bruno, Mrs. Goldman taught junior high ELA and soon went back to McKendree University to obtain her master’s degree in administration. Mrs. Goldman continues to live in the Pinckneyville area with her husband Mike, daughters Kennedy and Mackenzie and stepson, Nathan.